Consolidate various system using single platform to manage gift certificates for largest companies in the world. Provides both B2C and B2B solutions. Create value through growth in profits by expanding the existing stores. Used cloud capabilities to launch a premium same day delivery flower service Kalla.com in just over a month time. Used platform capabilities to develop marketplace that sells thousands of products to CIS countries. 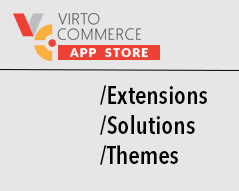 Flexible solution with maximum customization for the online window-treatment website. Created platform that allows sellers from China to sell to the Eastern Europe countries. Integrated warehouse, merchandising, customer support and marketing. Provided warehouse management for a one of the Switzerland's leading providers of auditing, accounting and consulting services company as well as permission controlled store for employees to place orders. Create a simple system for clients to directly search for available and compatible resources, thereby facilitating the trading process between clients and consultants. Swiss company created a B2B store for travel agencies to distribute brochures and other marketing materials in efficient and cost affective manner. Alexander's took over MyCanvas service from Ancestry.com and used Virto Commerce to migrate from tightly integrated application to a completely new extensible platform. US Government Supply Chain Ecommerce Expedites Order Processing and Efficiency. Specializes in the sale of residential and commercial real estate on the best coasts of Spain.